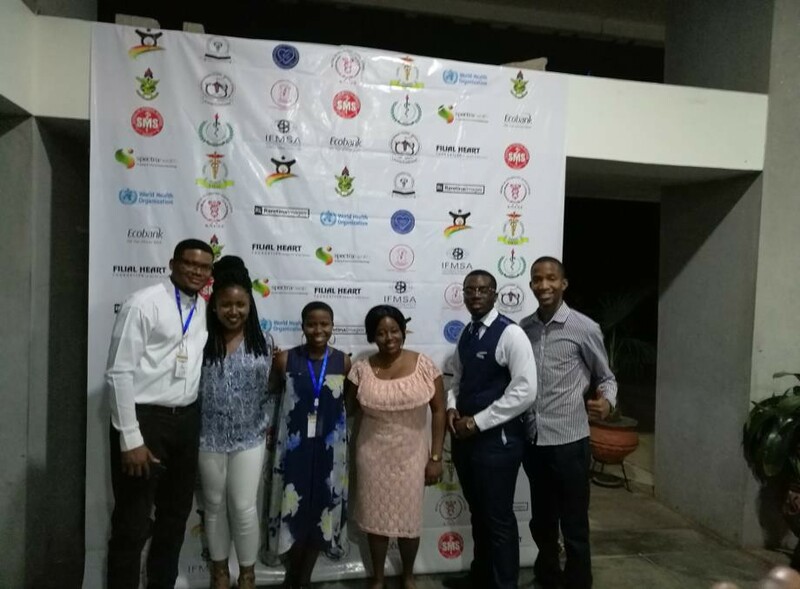 Post by Onthatile Thusi, a medical student from University of the Witwatersrand Faculty of Health Sciences [South-South] who recently completed an elective exchange at the University of Malawi. The plane cut through the clouds to reveal the first views of Malawi from the sky. The land was patterned with areas of green and brown and scattered housing. The scene was a great contrast to the landscape of Johannesburg which is populated with housing. As the plane began to fall towards the earth the exhilaration rose in my body while the thought of stepping my feet onto to a foreign land soon became a reality. 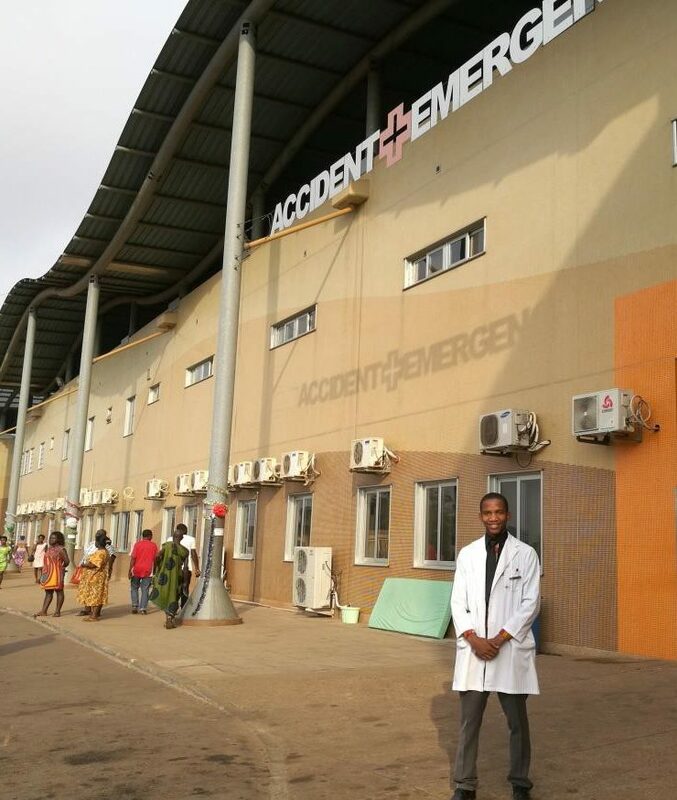 Queen Elizabeth Central Academic Hospital found in the city of Blantyre, Malawi is the largest referral health facility in the country of Malawi and was the setting of my 4-week elective along with 4 other students from South Africa. I was in the Department of Medicine under the supervision of Dr. Mallewa. I was placed in the male medical Ward 3b and was welcomed by the team responsible for Bay 2 which consisted of Dr. Lester, an experienced consultant, Dr. Basami a proficient intern, Dr. Pink an enthusiast registrar, and Allan Masapi a friendly and helpful final year medical student. The only directive we were given for the elective was to follow the final year students timetable and we were given the freedom to attend any of the lectures or teachings carried out by the Department of Medicine. “You are responsible for your own learning”. This was a statement repeated to us throughout our second year of study and it is now in this elective experience, that I have come to grasp the significance of this statement. There are numerous opportunities to learn from patients whilst in the wards. The team working in Ward-3b, Bay 2, and the members of the Department of Medicine was willing to impart their knowledge onto the students. However, it was my responsibility to take hold of the learning opportunity and initiate engagement and discussion with every source of knowledge at my disposal. Other than the scheduled final year student lectures, and the bedside teachings carried out during the ward rounds twice a week, learning was often self-directed. My day at Queens began with student case presentations which I found very valuable. In these case presentations, I saw the theoretical knowledge acquired in medical school come to life through practice. It is in the discussions of these cases where I learned the value of the art of medicine in a resource-limited setting. Each investigation was challenged for its relevance and utility. The principles imparted in these discussions are some that I hope to apply in my personal practice of medicine in my home country of South Africa that face a number of resource limitations with a similar HIV burden. Following case presentations, were morning ward rounds often done with the intern and joined by the student and consultant twice a week. It is in these ward rounds that I was inspired by the extremely knowledgeable intern Dr. Basami and had the privilege of seeing the art of medicine practiced with efficiency and great proficiency despite the many limitations. 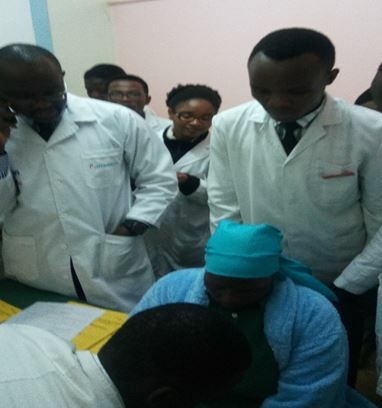 Under the patient guidance of interns and final year students, I was able to carry out a number of my clinical skills and acquire new skills with the encouraging consent of the patient. It was often that the ward round and ward work was completed before 13:00, and I would find myself with nothing to do the rest of the day. I attempted to shadow an intern in the medical admissions in the Emergency Department or searched the wards for a doctor to have discussions surrounding patient’s cases. One of the very exciting experiences was at the Grand Ward round which took place once a week. It is in this ward round where ongoing studies at the hospital were presented. Exhilarating discussions were had on the clinical relevance of the study and conclusions were made from the study. Active conversations between departments would take place on how the challenges and recommendations brought forward by the study could be mitigated and implemented. It was exciting to hear the dynamic interactions between professionals that bring tangible change in public health and ultimately improve patient care. Malawi the warm heart of Africa. The pulse of this heart is felt through the people of Malawi. The patients I encountered were willing to engage with me and consented to my intention to learn new skills with welcoming eyes. The language was a great obstacle, as most of the patients speak Chichewa, there were very few patients that spoke English. I felt that my opportunity to gain crucial experience in clerking and presenting patients was hindered. This language barrier limited my ability to perform procedures and examinations using a patient-centered approach, as all communication was done through a third party. The pulse of this warm heart of Africa extended outside the hospital confines. The owners and staff at Home Up guesthouses, our accommodation for the duration of the elective, welcomed our arrival with expectant and cheerful spirits. Throughout our stay, they created a friendly and cozy environment. 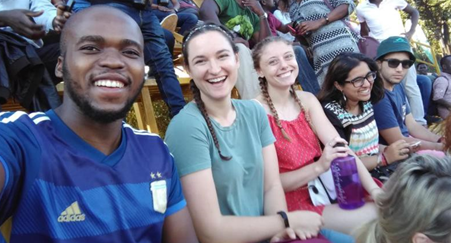 The staff was eager to help in any regard and provided valuable information to make the most of our experience in Malawi. The vibrant and energetic spirit of Malawi is reflected in its landscape. We had the privilege of exploring some of the great sites in Malawi. 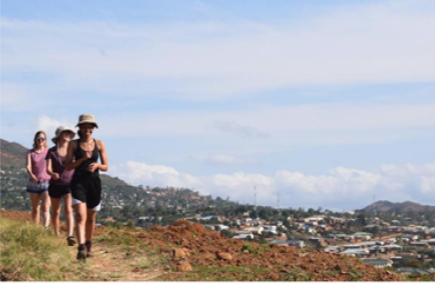 We trekked through the majestic Mount Mulanje, trudged the lush green forestry of Zomba plateau and strolled through the tranquil fields at Satemwa tea plantations. The friendly people, the warm culture and the exposure to a number of new medical experiences made these 4 weeks greatly fruitful. Despite the delays during the application process and the challenges in securing the funding before my departure, thanks to the diligent work of Mr. Motlhabani and all involved this elective experience was made possible. Each moment has been a true privilege. I have obtained valuable exposure to a wide range of medical conditions, although ideally, I would have enjoyed the chance to rotate through the different medical wards and engage with different doctors. 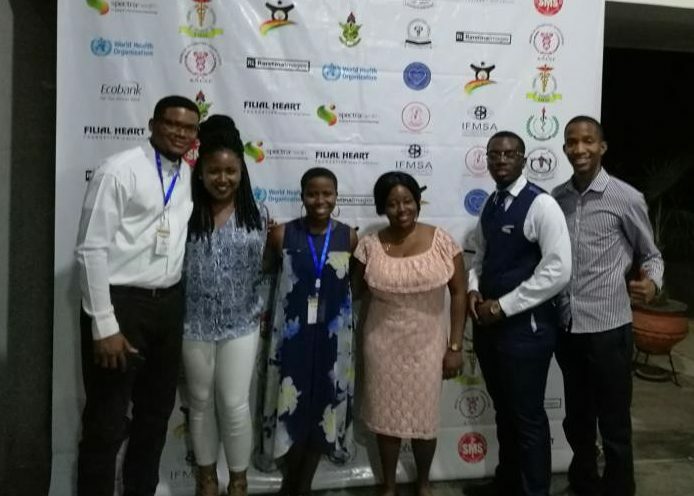 Similarly to South Africa, Malawi has a large HIV burden and through this elective, I learned crucial principles concerning the monitoring of HIV in a resource-limited setting. The greatest personal revelation that I have taken from my 4 weeks in the Department of Medicine, is that true learning comes with an eager and earnest attempt to acquire it. I have retained a great amount of information due to a personal growth desire to gain a greater understanding of the patients I encounter and I hope to continue to grow into an experienced and proficient doctor. 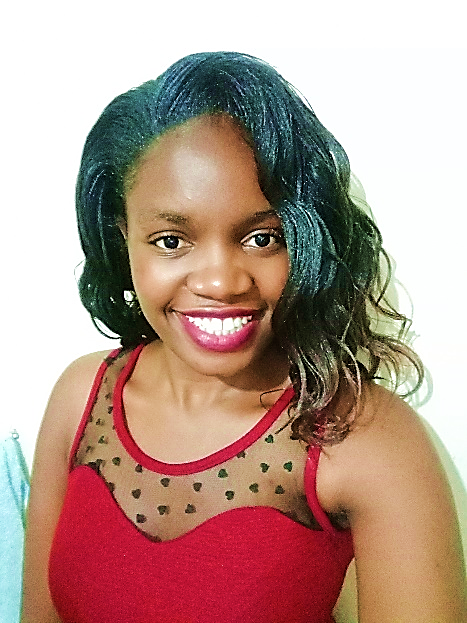 I was born around the mid-90s as a son to John Ochieng and Janet Ochieng at home in the middle of the night, with the assistance of a traditional midwife as the only complementary and alternative medicine provider on standby at that critical hour of my birth. My name, Odiwuor, means born at midnight. 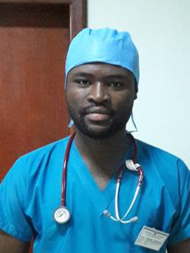 I thank God that neither my mother nor I developed perinatal and post-natal complications because had my mother experienced any obstetrics complications, there would be either no ambulance or vehicle to rush us to the nearest health facility except for an old, poorly maintained wheelbarrow that could be easily accessed from the nearest neighbor. This meant that I had to catch up with the immunizations the vaccines that I should have received at birth, at 6 weeks, at 10 weeks and at 14 weeks later on in the course of my infancy period. In the course of my neonatal period, my mother reports that she developed breast disease, which, after literature review and medical knowledge, I concluded could be either mastitis or breast abscess. I then had to be shifted from exclusive breastfeeding to completely cow milk and that was the end of me with breastfeeding at that tender age before the recommended six months period had elapsed. My parents could not afford the infant formula milk because we were wallowing in the mud and mire of poverty. In our village, I had to put up with a life that meant learning how to live with malnutrition and, occasionally acute malnutrition and severe malaria due to lack of untreated mosquito nets. My passion to pursue a bachelors in medicine and a bachelors in surgery course is being driven by these health concerns that I had to survive right from my perinatal period, the immunizations I did not receive according to schedule, the exclusive breastfeeding that I did not get a chance to enjoy, the malnutrition I suffered among other health risks that I faced. I, therefore, acknowledge the Education Commission for Foreign Medical Graduates (ECFMG) for their Global Educational Exchange in Medicine and the health professions (GEMx) that sponsored my electives at the University of Zimbabwe College of Health Sciences, Parirenyatwa Hospital, that would help me realize my dream of giving back to the community as a doctor by addressing the health challenges that I faced. 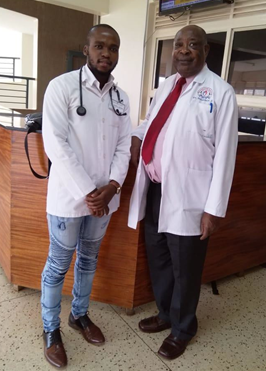 It was in early 2017 as I was going about my normal academic obligations at the Jomo Kenyatta University of Agriculture and Technology (JKUAT) school of medicine as a fourth-year bachelor of medicine and bachelor of surgery (MBChB) student when, a bachelor of pharmacy student, whose lecturer is Dr. Karara, the JKUAT GEMx Coordinator, sent me a link about GEMx electives. It was my first time to hear about GEMx so I did not take it with a lot of seriousness that it deserved. After a period of contemplation, I decided to give it a trial. I opened a student account on the website and requested Dr. Karara to confirm my details and accept me in the system since she is the JKUAT GEMx Coordinator which, she did. I then proceeded to start my applications for elective. I applied to Kwame Nkrumah University of Ghana, the University of KwaZulu Natal and the University of Zimbabwe. My electives would be in August and September 2018. University of Zimbabwe College of health sciences accepted my applications after uploading all the requirements for the elective on the system and submitting my applications. 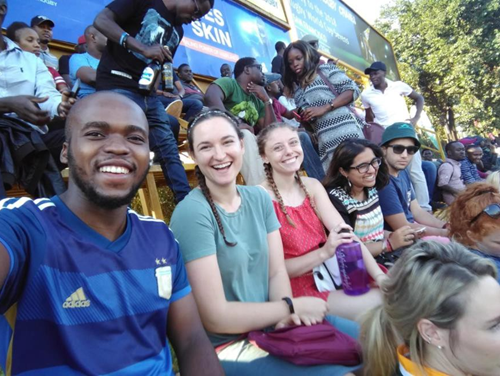 I arrived in Zimbabwe on 20th of August 2018 at around midday and went straight to the University of Zimbabwe College of health sciences. To my amazement, the elective department had been waiting for me. 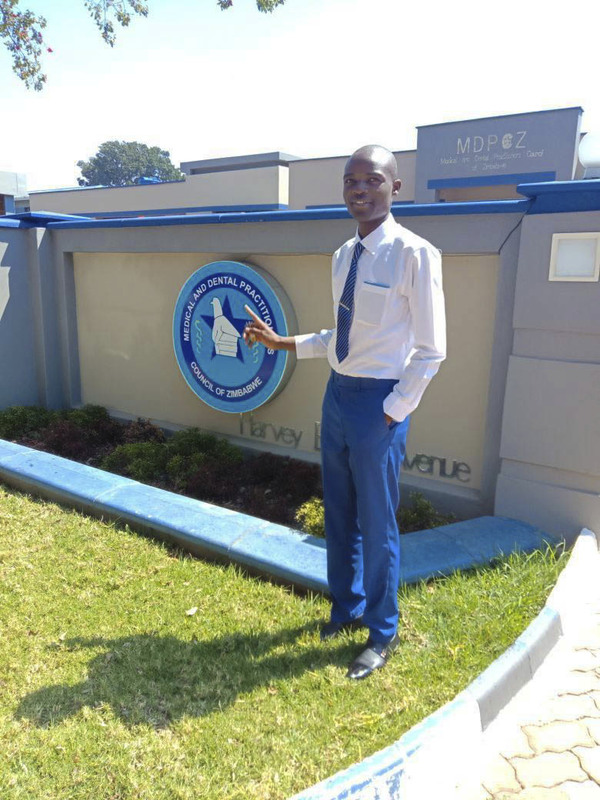 After a few minutes of engagement and introduction, I was taken to the building at which I would be hosted for the 42-day period that I would be at Parirenyatwa Hospital for my elective. The awesome reception, the transport around the city and the orientation that I received from the elective department on the first day are among the many things I cannot fail to highlight in bold when talking about my elective experience. I did my clinical elective rotation in internal medicine. Among the things I learned were: The good attitude of the consultants towards both students and patients, the awesome reception by the nursing staff, the interactive sessions we had with the junior registered medical officers, the healthy discussions we had with the final year MBChB students, the vast medical knowledge that I gained during ward rounds and enjoyed the beautiful culture of the Shona community. Generally, it was such a life-changing experience for me. 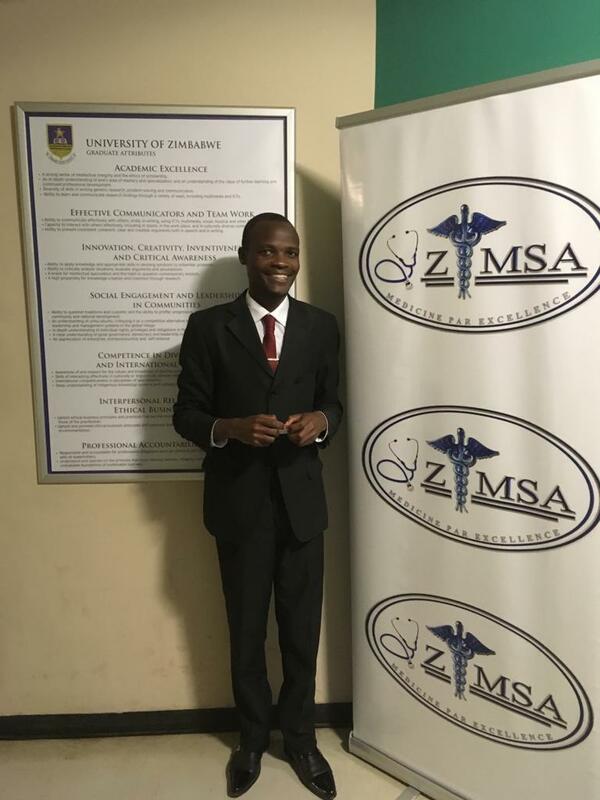 Moreover, I was also able to attend the Zimbabwe Medical Students’ Association (ZiMSA) annual general meeting and Dinner and the Family medicine conference at the University of Zimbabwe College of Health Sciences, Gellfand hall. GEMx sponsored everything during my elective period. GEMx sponsored my accommodation, my upkeep, my flights to and from Zimbabwe and all other expenses. Special thanks to Mrs. Faith Nawagi, the GEMx Africa Coordinator for the constant counsel and help that she provided for me at every stage of my application, Mrs. Chuma Vunganayi, the elective coordinator at University of Zimbabwe College of Health Sciences and Dr. Monica Karara, the GEMx JKUAT coordinator. I also want to acknowledge and appreciate Dr. Reuben W. Thuo, the Dean school of medicine (SoMED) JKUAT, for the recommendation letters and the support he accorded me towards the application for my elective attachment. Thank you GEMx, you have added a lot of value to my medical career. I would like to thank the Global Educational Exchange in Medicine (GEMx) for providing opportunities for medical students all over the world to go on exchange programmes. I would also like to thank my school, University of Zimbabwe College of Health Sciences, for selecting me to take part in the programme. I would also like to thank the Kwame Nkrumah University of Science & Technology (KNUST) for accepting my application, as well as Ms. Charlotte Osei Boateng, Bismark Addu-Appiah (the Exchange Officer) for assisting me in settling in. I would also like to thank the medical students at KNUST for welcoming me and making me feel at home. Medase pa! My experience in Ghana has been awesome. For sure I had never imagined that I was going to experience what I had experienced. I love so many things about Ghana – the rich heritage, the different languages, the traditional dress (called Kente), the food, and the people. More importantly, I also noted the many similarities between Ghana and Zimbabwe. Moving forward, I can use the different things I learned to make suggestions and improvements in my home country. I took up an elective placement in internal medicine that lasted 4 weeks. I was based at Komfo Anokye Teaching Hospital (KATH), which is the hospital affiliated with the KNUST (Kwame Nkrumah University of Science and Technology). I was placed in 4 different departments: Cardiology, Respiratory Medicine, Nephrology, and Neurology. Each placement in the respective subspecialties lasted 1 week. I had difficulties communicating with patients, as some of them were not comfortable speaking in English. Nonetheless, I managed to communicate with them, and I managed to examine patients as well. Adjusting to the hospital set up was not very difficult for me because the teaching styles employed at the hospital were identical to those I was accustomed to back home. One of the major things I learned from my stay in Ghana was the provision of the National Health Insurance Scheme (NHIS), and how it aimed at providing equity in healthcare across economic divides in Ghana. I learned about the strengths & weaknesses of the system and how best the system could be tailored to meet the needs of the population. 5 firms which, despite being specialized, admit all patients sent to Internal Medicine. 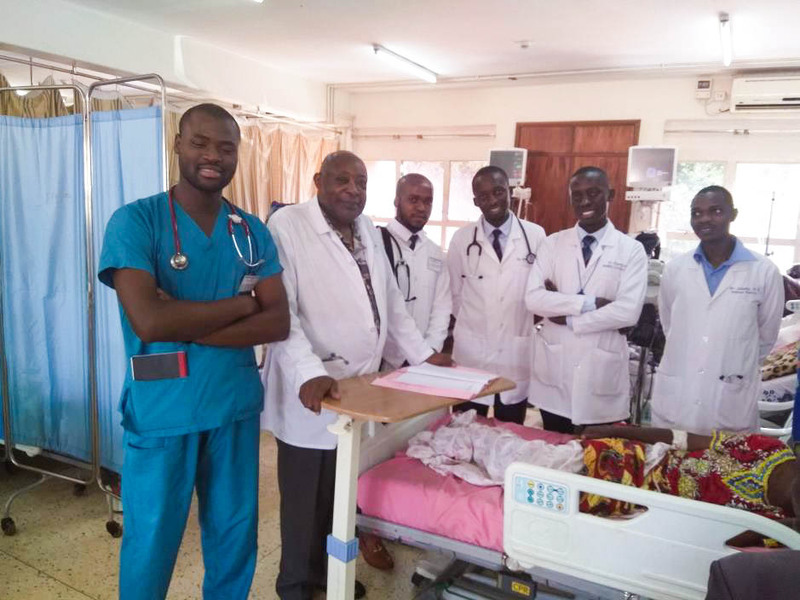 In Ghana, the medicine subspecialties operate independently and therefore cardiology patients only attend to Cardiology patients & consults. It reduces the workload tremendously and I believe it also improves outcomes. I also learned about a triaging system for patients who present to casualty, which divides patients into green, yellow, and red depending on the triaging score, which also estimates the severity of disease/injury. 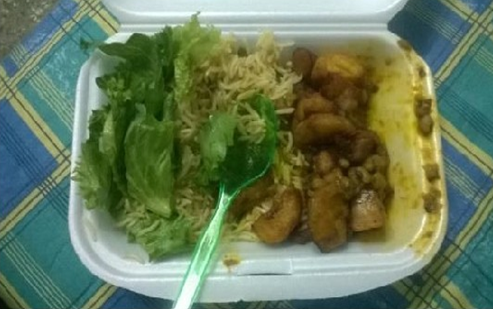 The most intriguing part of my stay in Ghana was the new food. I had never seen such variety in dishes! Ranging from Jollof rice, fried rice, and Waache to Fufu, Omo Tuo, red red, Banku and Kenkey, I had the opportunity to experience a different array of dishes. The food was awesome, and I loved it. 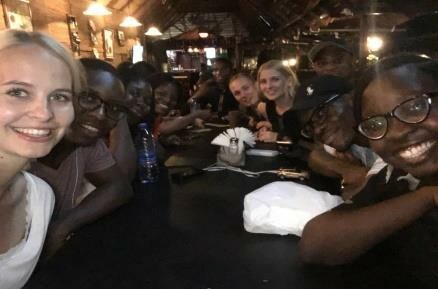 I also had the opportunity to meet many other exchange students who were affiliated with KATH as well: many of whom were from Germany, Finland, Austria, and Nigeria. The experience was very nice and I got to make new friends and learn about their health systems. I also got to know how their medical experiences have been and how they differ from ours. I made friends that I hope to keep for the rest of my life. Lighthouse for Christ Eye Centre is located in Mombasa city. Mombasa city is the coastal city of the nation of Kenya which is in East Africa. Basically, Mombasa is known as an island. It has many historical sites such as the Fort Jesus, The big Tusks, the Swahili Arab old town, and the first restaurant in East Africa. This city is an international tourist destination. Lighthouse for Christ Eye Centre is a modern Eye hospital in Mombasa, located in the coastal region of Kenya. It has ophthalmologists and clinical officers seeing a large volume of patients. My reason to choose Lighthouse for Christ was that it is among the highest reputable hospitals in Kenya. It is also a good place for training because there is all the equipment’s required for eye check-up (e.g. visual field machine). There is very skilled personnel with Christ love ready to support students on their campus. As a result of all this, the number of patients seen in a day is always high. During my tenure time at Lighthouse, I had two days in OPD, three days at the theatre every week. 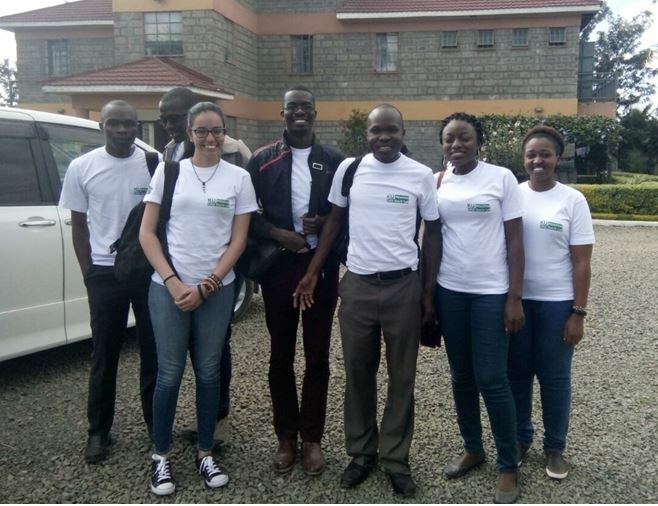 Towards the end of the five weeks at the campus, I was given an opportunity to work with an outreach team which took place over 194 km away from Mombasa. In OPD, I was working with a team of 6 staff. Amongst the six, I was with three senior ophthalmologists: one senior OCO and others were technicians. Handling the patients at OPD, I always had someone to consult and there was someone ready to assist me as much as I needed. Because of this, I really have improved my skills in the Visual field and OCT interpretation. David working with his colleagues. The team in theatre apart from the surgeon is composed of a team of six technicians who are highly skilled. Throughout my time here, I did around 6 small incision cataract surgeries without close supervision and this increased my confidence in surgery. -A one-week Phaco workshop with an international expert surgeon from U.S.A permitted me to know more about Phaco machines and it was my first time to appreciate that modern technology. -During this elective, I did my first cryotherapy after excision to a patient with a conjunctival neoplasm. -The one week outreach to the rural areas was a good experience for me and in fact, now that I’m coming from a rural area, I would wish that will be part of my work when I graduate. During the one week camp, I was able to see more than 350 patients and around 68 mature cataracts were diagnosed for surgery. Mombasa is a big city with significant recreational sites. I enjoyed the walk on the shore of the Indian Ocean and had memorable days of swimming. Commuting within the city is so easy because there are the three wheel motorcycles known as Tuktuk. You can easily move from one end to the other. Security wise, the city is well beefed up, apart from some areas where you see the streets young and old people. Though a big city, it has some parts of the city that is very clean and some very dirty. To the South, you cross over to the mainland with a ferry. I tried it and during the peak hour, the passenger ferry boards thousands of people across. From the North, you cross by a Nyali bridge and to the west through a causeway. David on a camel enjoying his weekend. -To GEMx and COECSA for providing funds to this Elective program. 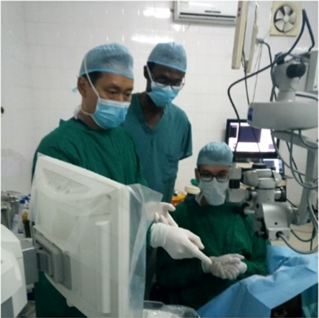 -To the Medical Director of the Lighthouse Dr. Fredrick Korir (Senior Ophthalmologist – specialized in the Cornea), Dr. Ibrahim Matende (Pediatric Ophthalmologist) and all the staff of Lighthouse. -To the Department of Ophthalmology Mbarara University of Science and Technology. 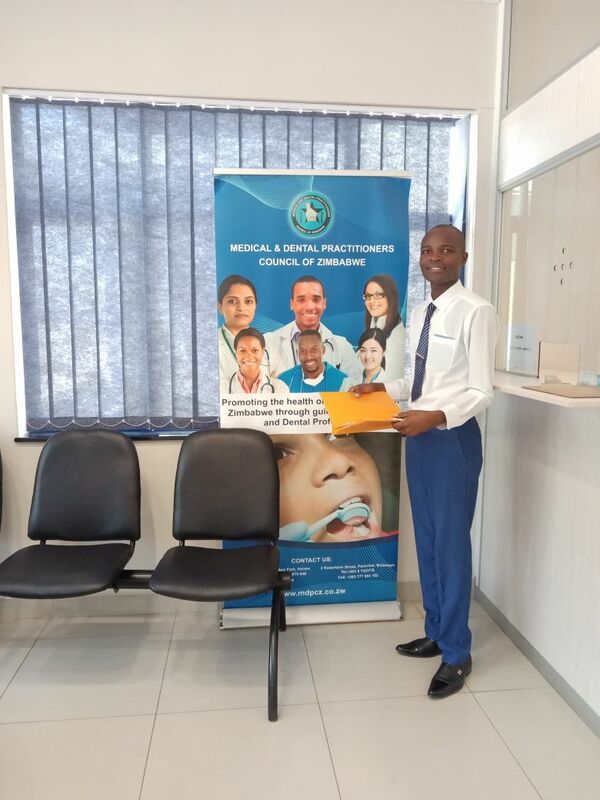 Post by Rumbidzai Mupfuti, MBChB student at the University of Zimbabwe College of Health Sciences taking an elective exchange to University of Kwazulu-Natal School of Nursing and Public Health. 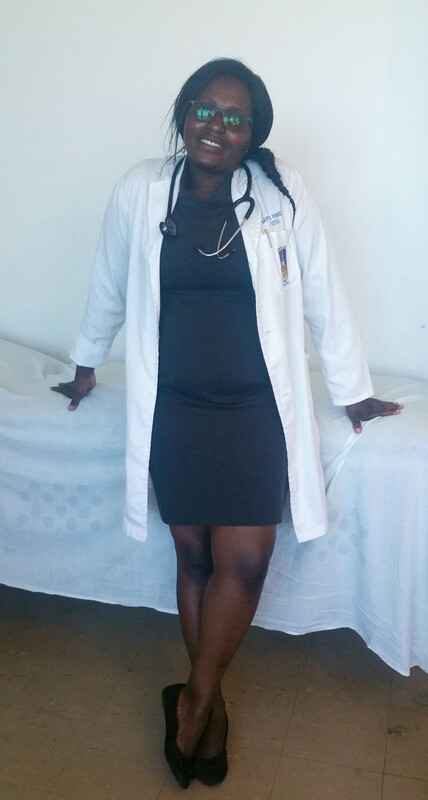 My name is Rumbidzai Mupfuti, I’m a 23-year-old lady, currently in my final year doing MBChB at the University of Zimbabwe. 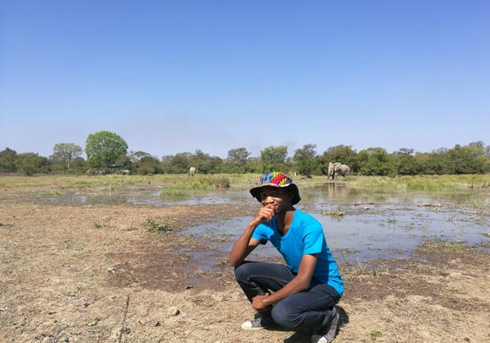 Like most people, during my 4th year, I was super excited about participating in an elective but to be honest my excitement was mostly to do with the hype of getting to leave the country and going for a tourist adventure. At my medical school, we always had elective day sometime in April and medical students would share their different destinations and their encounters. When I started my 4th year, I had all sorts of plans to go do my elective overseas because I had always dreamt of doing my elective in a first world country. Finally, it was my turn to have an amazing experience I’d always thought about. In January of 2017, I started applying to many universities abroad and talked to my predecessors on how I could approach. I had already made all my budgets for the various destinations I hoped for and had started looking for sponsorships. With all the enthusiasm I had, sadly it was now June and still, I was far away from landing any of my dream destinations. It was just one day, as I was strolling with a friend and she mentioned GEMx…to be honest I had just heard of it briefly, as our faculty office was encouraging people to apply but I never put it to mind since I didn’t have much knowledge about it. 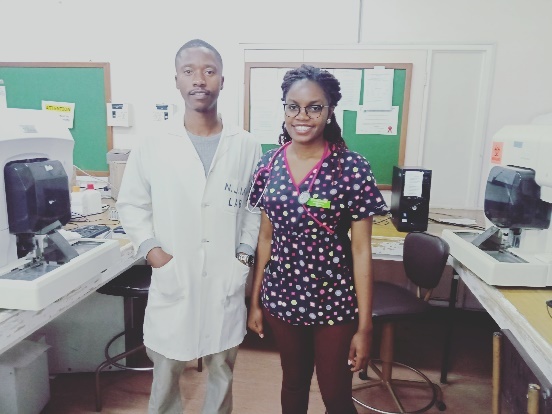 So my friend, Tinashe, shared a little bit more about GEMx and I remember going home that day with so many questions about, why I wanted to go for an elective and what my expectations were in relation with my future goals within the medical fraternity. GEMx was a fairly new thing at my medical school; it had been running for a few years. 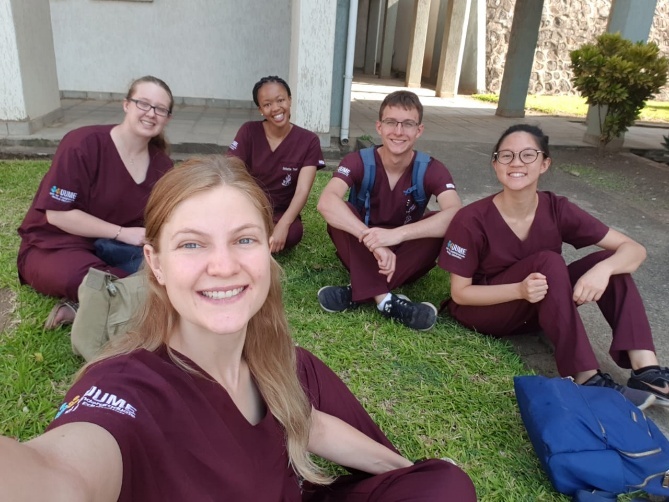 However, going through the GEMx website I realized how this experience would make me grow as an individual and give me an opportunity to learn more about the health care in surrounding nations, and there was no better time than NOW! Looking back, I’m grateful I had that conversation because it gave me a different view and bigger picture towards elective attachment. It was as if I had a whole new view…..yes my dream was to do my elective overseas but I still failed to answer the why and how it would help me as a health practitioner and my goal. 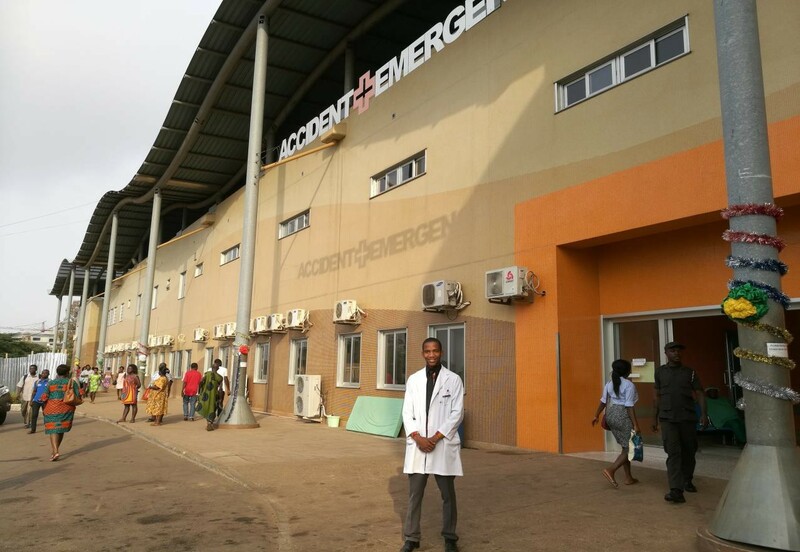 I realized that I’m very passionate about Global Health particularly in Africa as a whole…. so to cut the long story short, my heart was here, home in Africa. So given the few months that were left I pursued my GEMx application, and fortunately I was selected as part of the 3 students from my medical school. I was excited and expectant to be visiting our neighbors, South Africa in the beautiful city of Durban. We traveled from Harare to Durban by air. It was a fairly short journey approximately 4 hours and connected in Johannesburg. 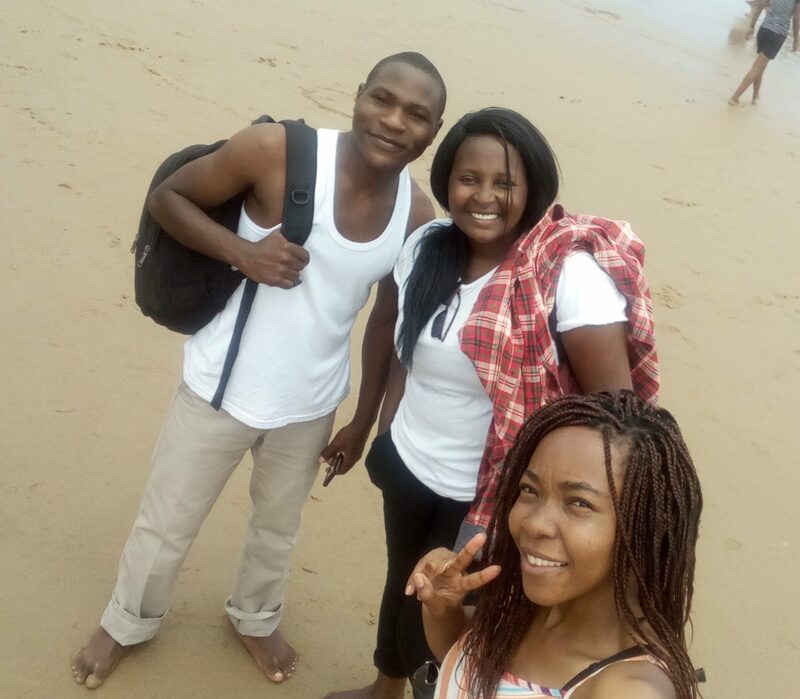 Upon our arrival in Durban, it was one of the best experiences. If I was asked to describe Durban in a few words I would say, “CULTURAL EXPLOSION!! !” A place which is multi-racial with so much energy and a warm breeze climate. We were welcomed with love, with a lovely lady, Viv who we stayed with for the whole 4 weeks in the lovely neighborhood of Wentworth. With all the love she showed us, this became a second home for us. We were nervous about our first day of elective at Wentworth Hospital. All sorts of questions were running through our heads: where we would fit in or even adjust? I remember our first day, we got lost initially but eventually found our way and we were welcomed by our coordinator, Dr. Naidoo. He was the head of Family Medicine at the hospital and he guided us through step by step concerning our 4 weeks attachment in Family Medicine where we got to rotate through Accident and Emergency, Medical ward, Chronic and Acute OPD and the HIV clinic. We had such an amazing team at Wentworth Hospital, from the doctors, nurses, and staff. They treated us like fellow colleagues. As I said earlier, Durban is a multiracial city and served as an educational time. It was great meeting and learning from different people’s clinical experience and the fact that despite the different backgrounds they all worked as one unit towards providing the best medical care they could give to their community. This gave me a whole different view, as I noticed that we share the same disease burden i.e HIV and its associated infections and non-communicable diseases. This made me appreciate and understand that the different disease burdens and health resource challenges we encounter in my nation go beyond our borders and the first is ours together and through interactions like these and even at a bigger scale can help stop the fight against the various disease burdens in Africa. I also noted a lot of similarities in the health protocols and the differences motivated me and gave me ideas that maybe one day would love to see being implemented back in my home country. So Durban is a tourist city with so much more to show. I can say we got a glimpse of so much great stuff there is to see in Durban…the “CULTURAL EXPLOSION” makes Durban a city full of life and love!!! We got an opportunity to tour around the city Centre and got to know a bit of history about how the city came about. Not forgetting the amazing experience at Ushaka Marine World, we got an opportunity to see one of the largest aquarium, had dolphin shows and a whole lot of activities. we also toured to Moses Madhiba Stadium were also got a glimpse of the huge stadium. We also to see a glimpse of the huge malls, the Pavilion and Gateway Malls and last but not least, because of the vast Indian Ocean, we had unlimited opportunities to swim through the warm ocean currents. 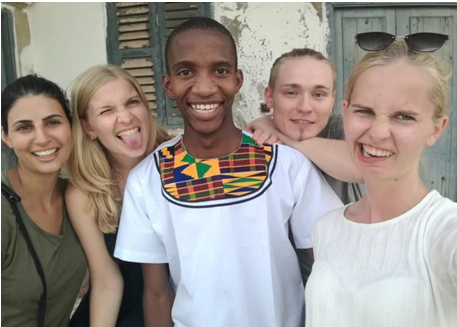 Looking back, I never imagined that I would have done my attachment in South Africa but now reflecting upon my journey towards SA, I’m grateful for the opportunity I got to do my elective there. In summary, this was a priceless experience with a whole full package and I’m forever grateful for the opportunity GEMx gave us to learn and develop our leadership skills as future doctors towards the effort of building healthy communities. 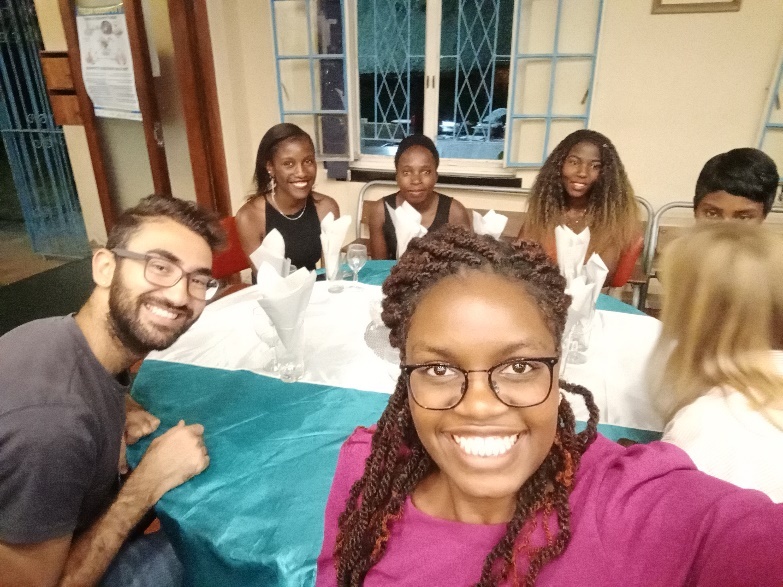 Post by Joy Kinya Kimathi, a 5th-year medical student at Jomo Kenyatta University of Agriculture and Technology in Kenya who has completed an elective exchange at the University of Zimbabwe College of Health Sciences. 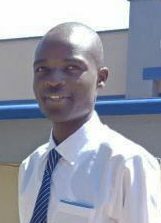 I was granted an opportunity to participate in an elective program in the University of Zimbabwe at the Parirenyatwa Group of Hospitals in Zimbabwe, from the 20th of August to 30th September, 2018 by GEMx. I found this as a great opportunity to learn, a stupendous chance to mingle with new people, explore a new culture, food, and new places. It’s worth noting that Zimbabwe is a vibrant country whose occupants mainly speak Shona and Ndebele, and are amazingly hospitable. On arrival at Zimbabwe, I was treated to a very warm reception by the University of Zimbabwe elective office. We were 2 students from Kenya at the time of my elective. Throughout my stay in Zimbabwe, I was accommodated at the Medical residence elective flat within Parirenyatwa hospital grounds. 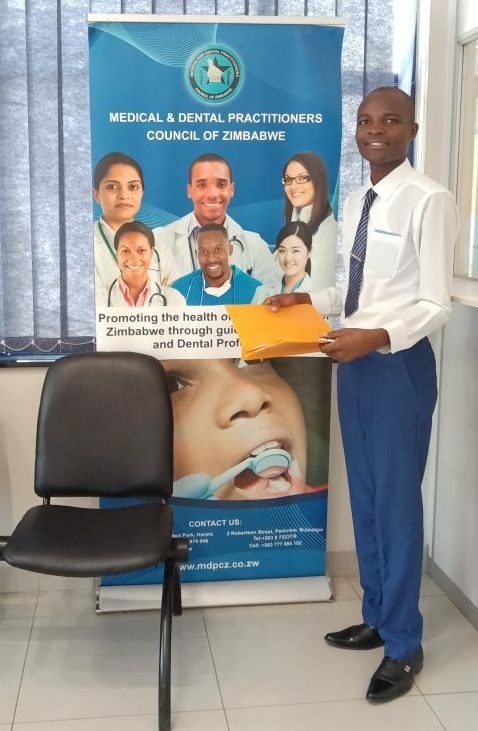 This was a very convenient spot to access the hospital, and I wish to pass my gratitude to the Accommodation office at the University of Zimbabwe for this consideration. At the Medical and Dental Practitioners Council of Zimbabwe (MPCZ). 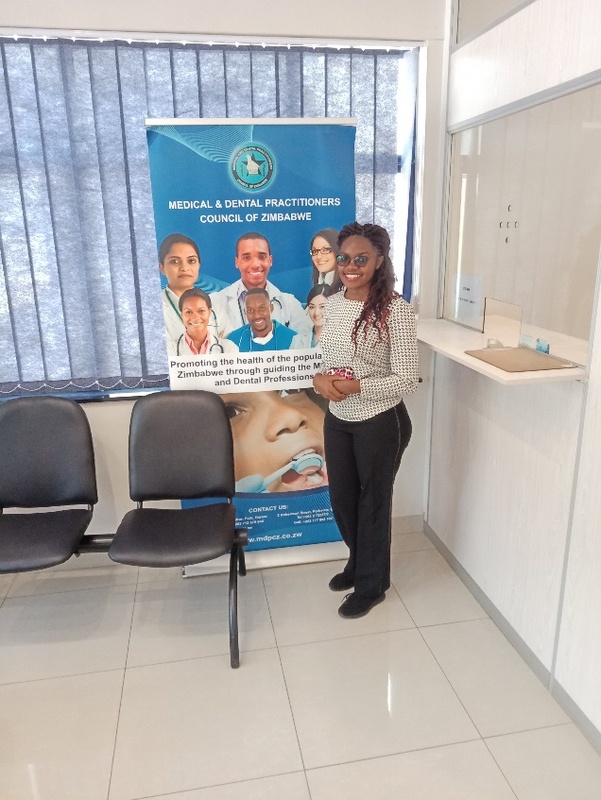 As a prerequisite to working in any clinical area within Zimbabwe, one needs to register with the Medical and Dental Practitioners Council of Zimbabwe (MPCZ). This was one of the first exercises that I embarked on just after settling down. The elective office was kind enough to offer transport to the Board’s premises to register with them. Being a very adventurous person, I explored various departments within the hospital during my elective. These included: Medical Ward, Hematology Department, Urology Department, Oncology Department. I have to admit that I had an awesome learning experience within the institution. The consultants were very enthusiastic and more than ready to impart their knowledge and skills to me. Special thanks to Dr. Marejela (Consultant Physician), for his well-researched discussions crowned with a special sense of humor. Being in your ward round was something each of us looked forward to every single day. Special thanks to Dr. Mberi (Hematologist Consultant) together with the whole Hematology team, for your dedication to teaching me. Lots of gratitude Dr. Chikore for teaching me how to administer Chemotherapy. It was a great honor to work with Mr. Dube (Consultant Urologist). His austereness kept us on our toes bringing out the best in us. A shout out to the Oncology team for being one of the most amazing teams to ever work with. I was able to participate in cancer diagnosis, staging, planning of management, radiotherapy, brachytherapy and chemotherapy sessions. Above all the team got to include me in most of their social events making me feel at home. The junior doctors (JrMOs) in all the departments I rotated in, occupy a special part in my heart. They were not only colleagues but also mentors and probably the greatest friends I’ll ever make within such a short period of time. They shared with me tips on how to navigate around Zimbabwe and were really great chaperones. In a nutshell, the academic part of my elective was marked with new amazing and interesting exposures. Of special note is the fact that the whole experience sparked in me, a special interest in oncology, a field that I had never ever considered prior to my elective. Over my stay in Zimbabwe, I got to visit many astounding places. It all began with a tour around the University of Zimbabwe main campus. 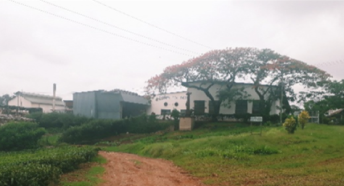 The institution is located in a vast piece of land, in an exquisitely serene environment at Harare. I found myself in the middle of a Zimbabwe Cash crisis right from the time I landed at the airport. The challenge was brought by the fact that I couldn’t withdraw any money from the banks due to acute cash shortage within the country. This was a very unique challenge that I had never anticipated at all. To add insult to injury, some of the swipe machines in the country were not compatible with my visa cards making it almost impossible to pay for accommodation as well as the Board fee. However, I would like to take this chance to thank the UZ elective office for being patient and resourceful in handling any new challenge that came up. At this juncture, I would also like to pass my heartfelt gratitude to the Kenyan Embassy in Zimbabwe. They went out of their way to enable us to get Hard Cash when all our efforts had hit the wall. God bless you richly. To any student planning to travel out of their country, make a habit of getting in touch with your embassy on the intended country of travel before leaving your country. Let your embassy advise you accordingly pertaining your travel expectations and expected challenges. This will help with your planning and cushion you from any unanticipated shock. My trip was amazing. In the beginning, I faced a few strains, but I still got the best out of this elective both academically, socially, and culturally. I greatly appreciate the opportunity afforded to me by GEMx team. I wish to thank everyone who went out of their way to ensure that I had the time of my life. The GEMx initiative is a great one, and I take this opportunity to encourage more and more students to enroll and be part of it. During the time I was preparing for my trip to Uganda for my Cardiology electives for three weeks. I was not sure whether it was going to be possible for me to go to Uganda or not due to the fact that this was my first time traveling to a place that is outside of my own country. Immediately after my online application through GEMx, everything was easy for me because I received the help I needed on time and hence it was easy to get Immunizations, Visa, and other useful information about the place I was traveling to on time. Many people intervened and assisted a lot, Prof. Mergan Naidoo who is the GEMx Manager at UKZN, Professor Ncoza Dlova the dean of clinical medicine at UKZN medical school, Faith Nawagi from GEMx and Sunga Chumia helped me a lot with the whole process. During the day of my trip to Uganda, I missed my flight from South Africa to Entebbe in Uganda, and this was due to the fact that there was a very long immigration cue at the airport and very few consultants, this was the only challenge I faced, but I did rebook the flight and the following morning I then traveled to Uganda, it was a good experience indeed. I arrived at Entebbe, and I checked in in the country after that I went to the Mugalo Hospital guest house where I was staying for my electives, I met many people in Uganda, but the common thing I noticed about every individual I met is that they were so welcoming and respecting as well, even though sometime I would not feel well because I did not fully understand their culture during the few days of my arrival in Uganda, and my fear was that maybe I will do or say something that means something bad or rude according to their culture, but their respect always kept me feeling at home. Uganda is a very good country but very expensive. I went to Shoprite just to get a few items at Acacia Mall and while comparing prices with the South African Shoprite, it was a lot more expensive. Staying at Mulago Hospital guest house was very good I met few Medical students from other countries and it was very nice to meet them, listen, and observe them as well I learned a lot from them both academically and socially. My first day of Cardiology at Uganda Heart Institute, as I was still battling with the one hour difference between South Africa and Uganda, one of the Medical Students from the College of Health Sciences was sent to come and give us a tour around the Mulago Hospital, it was so useful because from then I did not struggle with directions around the entire hospital. On my first day, I met Dr. Isaac Ssinabuyla who is the manager of the GEMx at Makerere University, who is also a Cardiologist at Uganda Heart Institute, I also met Phionah Kinwa who is the Associate Coordinator for International Programs at Makerere College of Health Sciences. Dr. Isaac Ssinabulya took us and we went to the Heart Institute, we arrived the ward round had already started and he introduced us to the team. The Cardiologist who was in charge was Dr. Lugero Charles. I learned a lot, most of the patients we saw were mixed valvular disease patients. 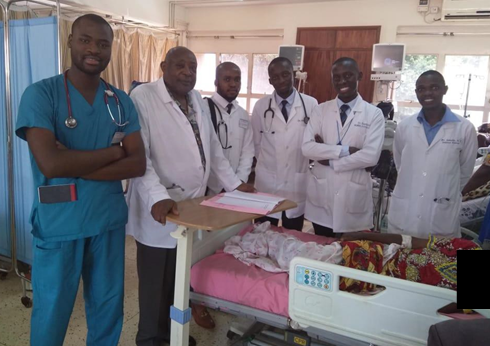 The team I was with at the Uganda Heart Institute were so keen to teach, I learned a lot from them, not only academics but even the conduct of a Medical Doctor, being part of the team equipped me, to such an extent that I now consider Cardiology my first choice specialty. On Tuesdays, I attended major ward rounds where I met Dr. Batambuze an old Cardiologist who received his training in the United States. He taught me Cardiology, most patients presented with the mixed Valvular disease, coronary artery disease, Aortic dissection mostly caused by hypertension, and congestive Cardiac failure. 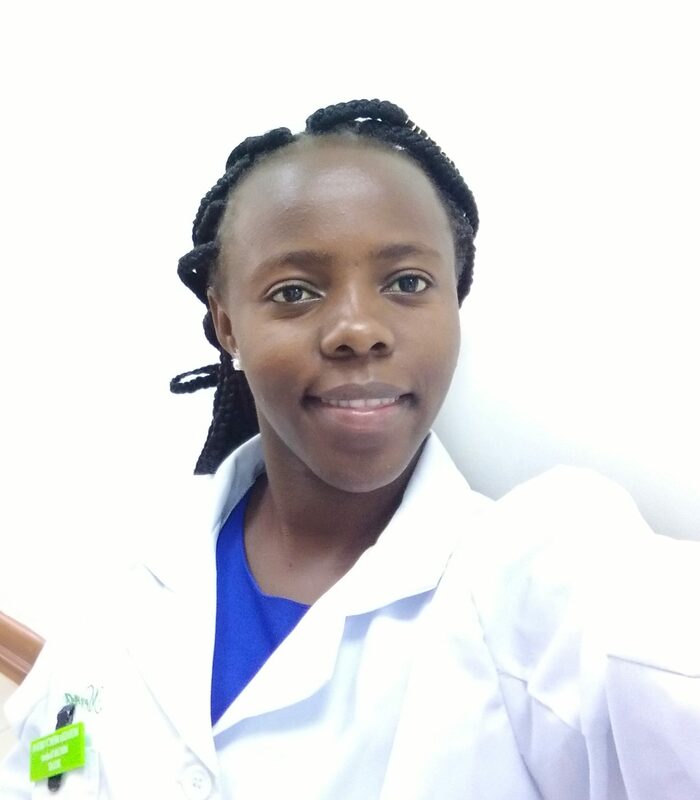 I clerked and presented patients to the doctors during ward rounds, and the most important thing Dr. Batambuze use to emphasize was the issue of being able to pick up clinical signs and being able to interpret them, as well as the importance of demonstrating how you elicited the clinical signs you mention. My Cardiology clinical attachment helped me a lot; it taught me to work with other people. 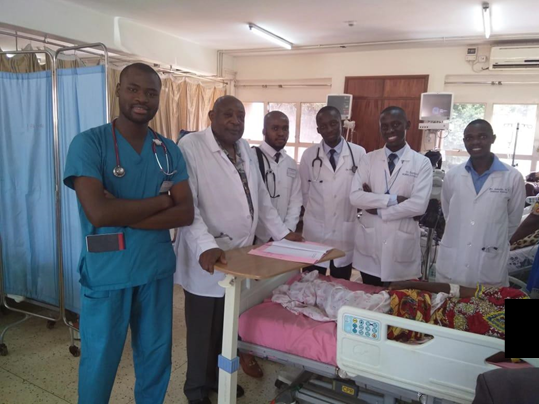 Dr. Batambuze organized tutorials, and he uses to give both us medical students and MMed students tutorials, it is quite good to be involved in a clinical setting with many medical doctors, because you get different views and approaches as well which broadens your horizons. After the ward round, I used to study a lot, to try and cover as much work as possible. It was much discouraging to learn that Doctors are underpaid after so much hard work of their training, and the type of care they give to patients. It was also sad to see some of the patients in beds because nothing can be done but only palliation and some of them cannot afford to pay for the surgery procedures more especially the Type A Aortic dissection patients, because of limited resources at Uganda Heart Institute, and patients have to be transported to Kenya for such procedures only to find out that patients cannot afford, but I was glad because even though most patients could not afford, Doctors use to continue with medical treatment learned that there is a lot of communication in medicine, and to be a good doctor does not only require excellent academic record but it requires a lot of passion, patience, and commitment. I also learned to approach patients as a whole, not only to treat the disease but also to focus on other aspects of life, because they might be the precipitants and the cause of the disease. 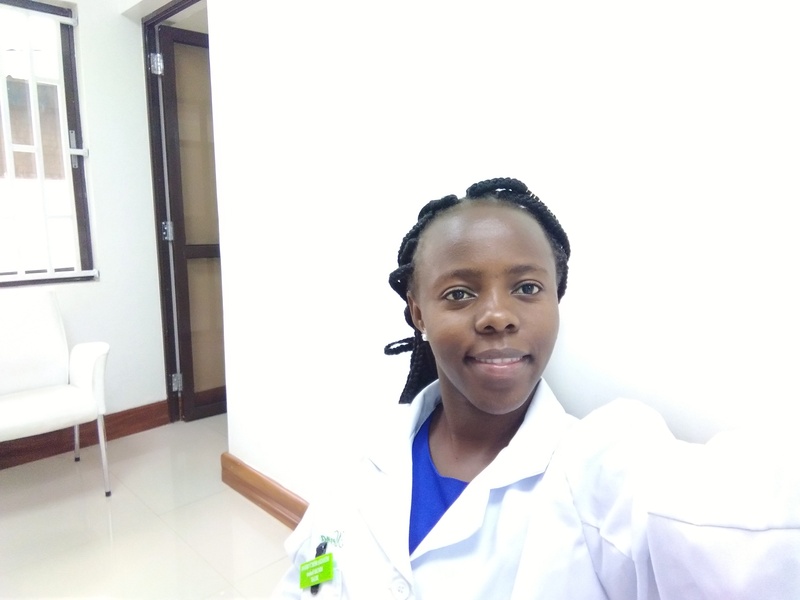 And now that I am at home I will make sure that I help other fellow students, and furnish them with all the information I received at Uganda Heart Institute. I really appreciate the experience I had at the Uganda Heart Institution. I would like to thank GEMx for offering this exchange program, which made everything easy on my side as far as applications and other important information is concerned, thanking SAMA Scholarship for offering me funding. Prof Mergan Naidoo who is the manager of GEMx at the University of KwaZulu Natal(UKZN), Prof Ncoza Dlova who is the dean and head of the school of clinical medicine at UKZN who encouraged me to apply and further assisted me with finances where they were loopholes, Miss Sunga Chumia who assisted me with logistics. 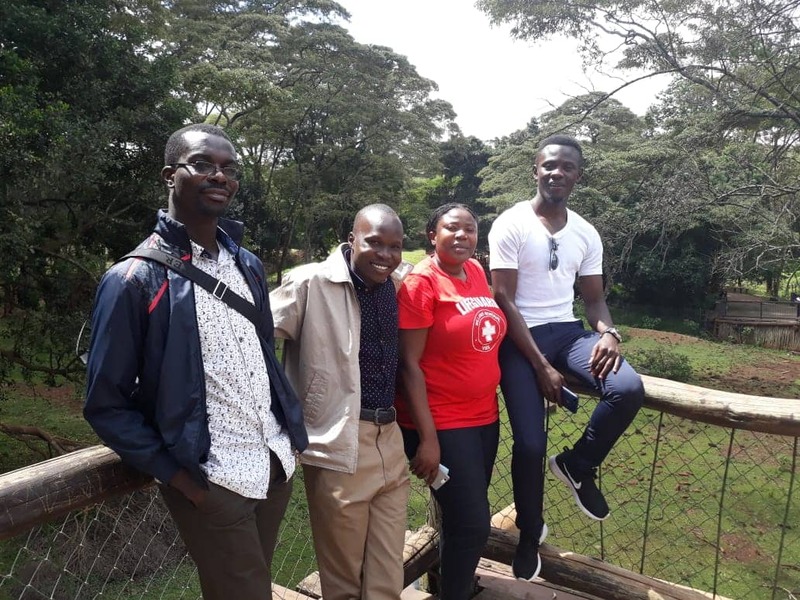 I would also like to thank Dr. Isaac Ssinabuyla who is the manager of GEMx at Makerere University in Uganda for the help and for hosting us as well as Phionah Kinwa. 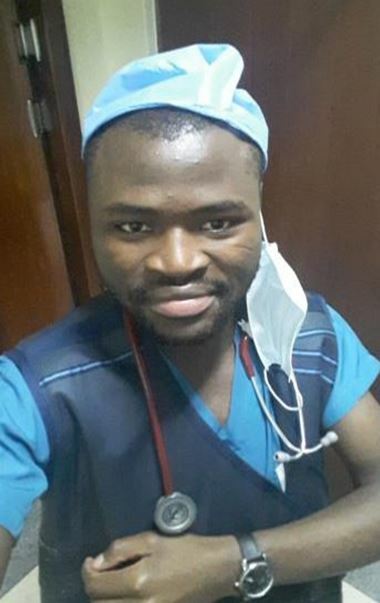 Frank Mayindi is my name, from Uganda, a Muganda by tribe, 24-year-old male currently pursuing a bachelor’s degree in medicine and surgery at Makerere University Uganda-Kampala College of Health Sciences currently in my fourth year of study, with a very strong passion for surgery, aspiring to be a neurosurgeon in future. FRANK MAYINDI(1) EBELE GIFT ISAAC(2) MRS DOROTHY .W(3) AND KIKOYO JOACHIM(4) from the left side at the safari park in Kenya. 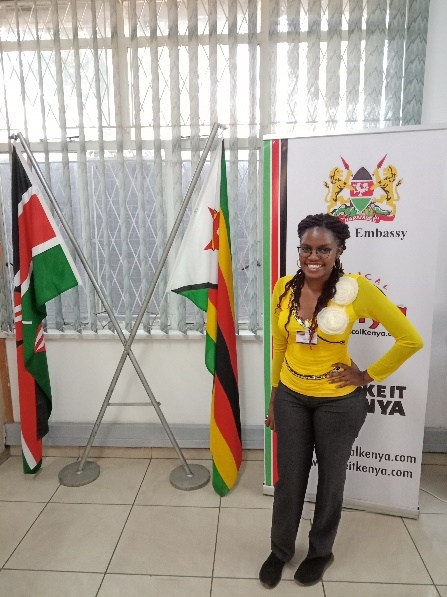 I undertook an elective placement at Kenyatta University Nairobi, Kenya through the period of 2nd June to 1st July under the Global Education in Medicine Exchange (GEMx) and I take this opportunity to extend my heartfelt gratitude to everyone that made this possible. 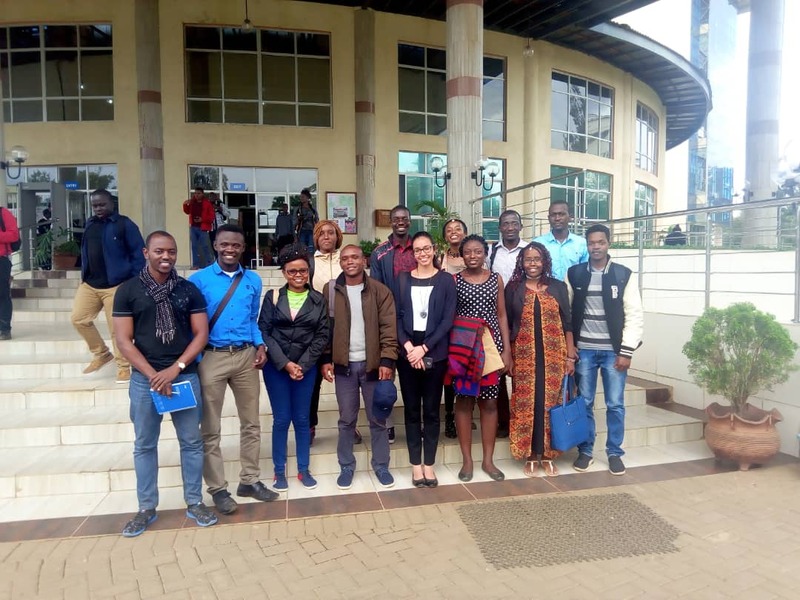 ( Makerere University international office, Kenyatta University, and the GEMx co-ordinators). My stay in Kenya was full of many experiences. While at Kenyatta University I rotated in the Department Of Surgery at the Kiambu level 5 hospital. For the time I was in the hospital, I participated in ward rounds (major and grand), clerkship, and examination of patients, follow up of care of patients and bedside teachings. These activities enhanced my clinical skills especially in surgery and also served as a stepping stone to pursue my career in surgery. I also attended CME’S (Continuous Medical Education sessions) and Morbidity and Mortality reports in which I got updated about some of the current medical practices and different approaches to patient care. I also appreciated the key leading causes of mortality and morbidity in the hospital’s catchment area. Through my interaction with fellow students, I learned a lot about the Kenyan culture in terms of language, culture, and entertainment. I cannot withstand the temptation to mention about the wedding I attended at one of my friend’s place and the fact that most of the weddings were held on Saturdays and all vehicles attending a burial had to bear a red cloth tied to side mirrors or any available place as a mark. I managed to attend a community outreach held at Brydges Home Center in Kajiado County, it was a place away from Nairobi and I managed to have an experience of Kenya outside the main capital city. While at the outreach I stationed in the pharmacy department where I managed to dispense different medications to the different patients, it gave the opportunity to interact with the pharmacy students and also learn briefly about the common drugs used in Kenya. 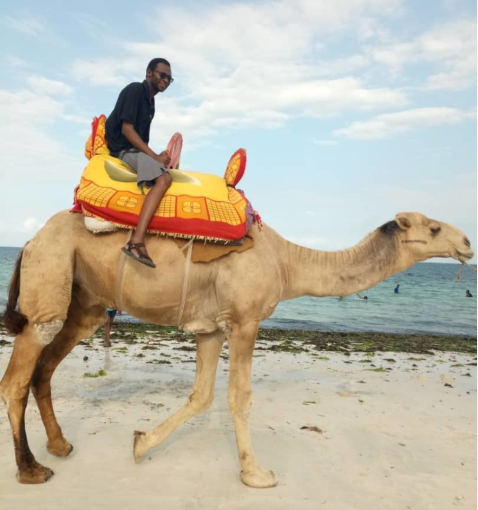 Through my stay in Kenya, I realized that it was a cold country compared to my home country, however, I managed to maneuver through the weather through the use of jumpers and very thick sweaters. However, there were no unexpected outcomes through my stay in Kenya. I was warmly welcomed by the student community especially the students I was to rotate with, at a moment I didn’t feel I was in a different country, they played a major role in my stay in Kenya. They taught me a lot of Kiswahili and Kikuyu, allowed me to join them in their co-curricular activities like football matches plus tennis and also I participated in their discussions as early as the 4th day of my stay. Still, through the guidance of my fellow students I managed to visit the national hospital of Kenya-Kenyatta National Hospital-and this broadened my picture of the health care system in Kenya. All in all my interaction with the students was far-reaching and up to now I still maintain communication with them and there was no moment I felt unsafe and not welcomed by them. Through interaction with the lecturers, I managed to meet with surgeons practicing in Kenya and the chairman of the department of surgery at the hospital, these greatly natured me in the field and encouraged me to pursue my career further. To any student out there planning to partake a GEMx elective in a country away from home, I strongly encourage you not to hesitate to pursue such an elective. Learn about the language of the host country especially the basic words for basic community survival and also while in the host country make as many contacts as possible to further grow your carriers and to enhance your international relations and let every day that you spend for your elective count. 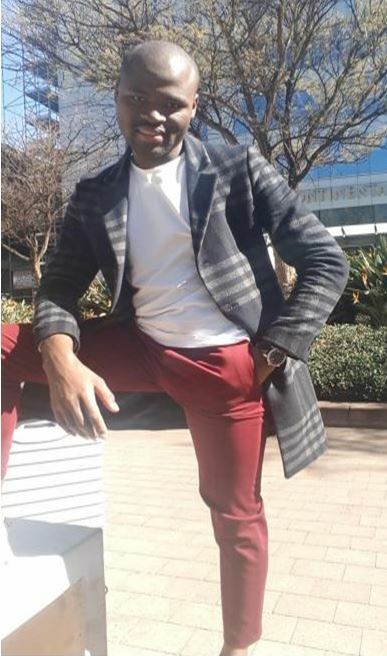 My name is Ntuthuko Mkhabela, I am a 5th-year medical student at the University of KwaZulu- Natal in South Africa. I was afforded the opportunity to do a Cardiology elective program in Makerere Univerity in Uganda at the Mulago Hospital Heart Institute from the 4th until the 23rd of June 2018 by the GEMx. I found this to be a great learning opportunity and also a very prodigious chance to explore new places and meet new people. From when I got to Uganda I found that everyone was very friendly, though it was difficult at first to settle in and comprehend how somethings are done but within a few days, it really felt like home. I had to admit that I had the best bedside teaching at the Heart Institute and they have the best grand round on Tuesdays with the best and most enthusiastic teachers I have ever had any chance to meet. 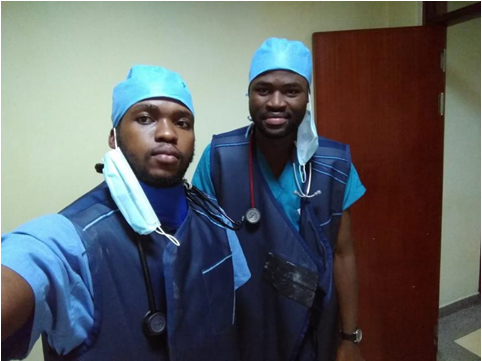 I was a great honor to get teaching from Dr. Batambuze “The Lord of the Heroes” as he refers to himself when entering the ward, he isn’t only a great consultant but also offers the best form of teaching in a very passionate and motivating way; and he also has a great sense of humor. He was very patient with us and even though he had not come to teach undergraduate students. He made us feel welcome and were willing to assist us wherever we got lost. He would take us all the way from basic science and anatomy up to the clinical and bedside medicine and the one thing he really enforced was the importance of proper and evidence-based bedside clinical medicine and how it would assist in saving a patient’s life and for that I would like to forward my special thanks to him. We also had the best team in the ward led by Dr. Majwala who also held our hands throughout the period together with his MMed students: Dr. Ssibuliba, Dr. Were, and Dr. Herbert. They were willing to not only share their much valuable knowledge with us but also even shared some of their resources with us. It was really a great motivation to me and if given the opportunity I would definitely love to work with them again because I think there is a lot that I could learn from them and it wouldn’t be just for me to not appreciate these great individuals. 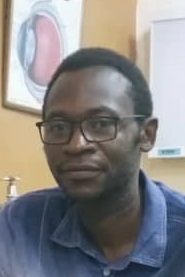 It also wouldn’t be just for me not to appreciate Dr. Lugero for his great teaching, he was the first to welcome us and he rightfully told us that he cannot welcome us with a party or whatever but he can only welcome us with academic questions and indeed his teaching remains highly appreciated. I would also like to appreciate all the other doctors I have not mentioned above who also were willingly and undoubtedly making efforts to ensure that we are trained to become great clinicians. I also had an opportunity to spend some time in the Cath Lab to see how coronary stents are inserted and again we were welcomed with warm hands and without any objections taught us as much as they could within the little time we had in there and it was again a memorable experience. Briefly, I would just say I the academic side of my visit had the best teaching I have ever been exposed to in my life and I remain grateful, and one would then safely say the purpose of the trip was fulfilled. 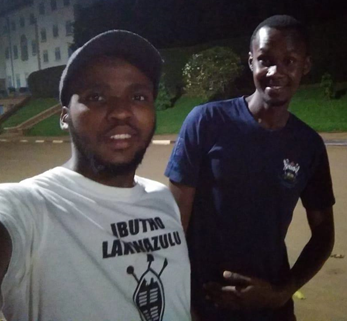 During my stay in Uganda, I had a chance to explore a number of places in the area, starting with the tour around Makerere University which we had with Clement who was a great host and was always there when we needed him. He became more than just ‘a student who was supposed to show us around’, he became a friend and a colleague who we shared a lot of great moments with and also shared knowledge. He is a great leader and has been in the student leadership myself, we actually shared a lot in common hence we got along very easily and I sure do wish him well in the future and hope we do meet again at some point. 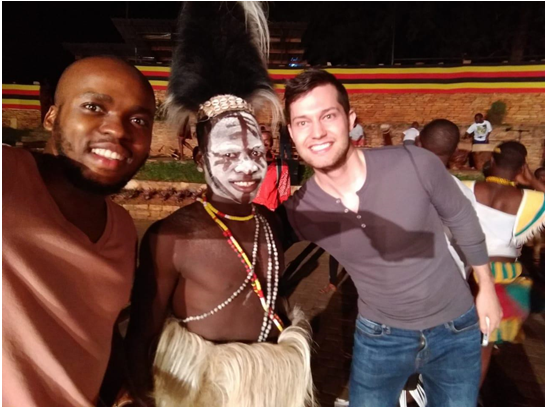 I also had an opportunity of watching the multicultural tribes of Uganda performing their traditional dance TWICE because for some reason I just couldn’t have enough of their dance, jokes, music and of course the food courtesy of Dr. Isaac. This was a great experience and it made me wish to get a chance to go live in their rural areas for at least a day so I could be part of the traditional activities and have the first-hand experience of how it actually feels to be one of them because I was already feeling like one of them even at that time. 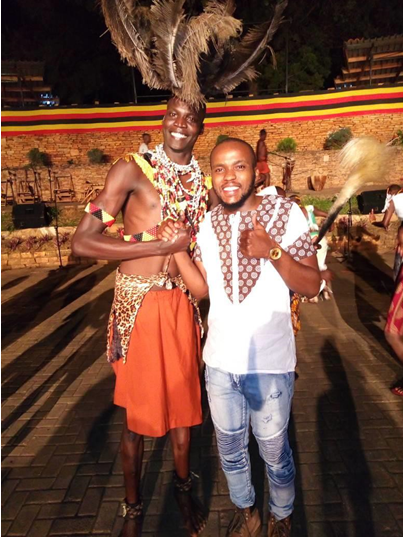 I couldn’t really tell whether this gentleman was too tall or it’s just that I am very short but I honestly had the most fun at this cultural dance event I also had an opportunity to go and watch a local rugby tournament and also meet up with other medical students from different other countries from all around the world. I made a lot of friends who I learned a lot from; we also watched a number of world cup games together and shared a lot of fun moments. With some, we even share the same accommodation which allowed us to get to know each other even more. Unfortunately, I didn’t get to go to the Safari and to Lake Victoria with them, which I really think it would have been really great adventure given the fact that it was in the home of the Nile Rivers its self. Even though the trip started off on a very frustrating note from missing our flight and having to spend a night in Johannesburg to serious financial constraints but in the end, all the efforts were worth it and I definitely would relive every moment of it if given the chance again. I appreciate the opportunity that was afforded to me and would like to thank everyone who put their efforts into ensuring that this trip became a success. I think this GEMx initiative is a great one and really I would like to see more people from our school taking part in it. 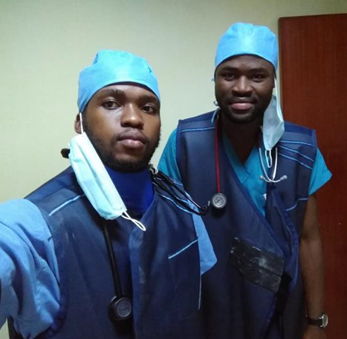 Post by Mercy Muhadia Okova, a 5th-year medical student at Jomo Kenyatta University of Agriculture and Technology. I spent most of my childhood days in the rural area, the western part of Kenya and my high school and college days in the capital city Nairobi. I have a taste of both rural and urban life which makes life easier for me because I know how to deal with people from both sides. When I was young I would sing the common song of many children that when I grow up I would like to be a doctor. However, that dream made sense when my dad fell critically ill and I wanted to understand what was happening to him and help where I can. I was also motivated by a young lady: a medical doctor who was in her second year of residency in Neurosurgery. That made me believe young ladies can also excel in the field of medicine. I excelled in my final high school examination and got admitted to study medicine. 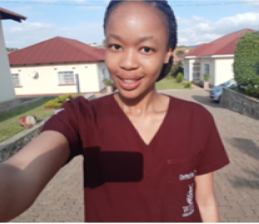 I learned of the GEMx electives through my classmate and we met the coordinator in my school who guided me in applying for an elective at University of KwaZulu-Natal, South Africa and got accepted to rotate in the Department of Family Medicine. I am glad to have met a very pleasant team lead by Professor Mergan Naidoo. The program is quite busy already learning a lot in the first week. I hope to share more experiences as the elective goes on.